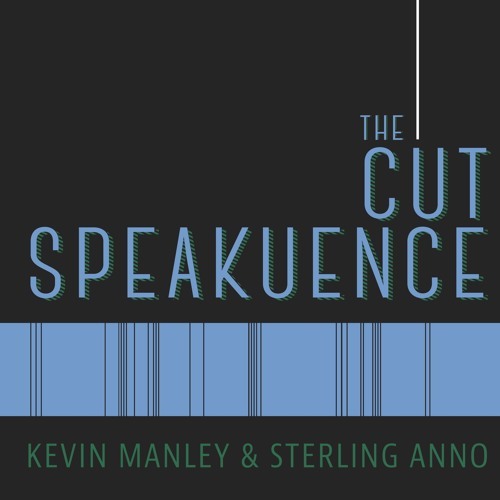 This week on The Cut Speakuence, Kevin and Sterling sit down with local editor Mickey Peters. Along the way we find out what Kevin does with Sterling in between podcasts and the what it really means to be an editor. You can find Mickey at http://mpgreenstar.wixsite.com/greenstarediting Subscribe to The Cut Speakuence on iTunes and everywhere else you get your podcasts. Want to hear Kevin and Sterling talk about a particular movie? Visit thecutspeakuence.com and write in a request at www.thecutspeakuence.com. Or tweet the guys @JustKevinManley & @TheSPORKguy. Also, be sure to leave a rating for the show on iTunes, it really supports the show. The Cut Speakuence theme music provided by Kameron Ramirez @Kamruff on Instagram.